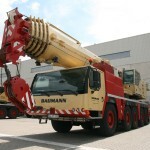 In the last days we’ve finished and delivered the latest crane specification guide for the crane hire and heavy haulage company Baumann from Bornheim in Germany. 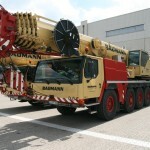 The company received the new pocket crane guides in size DIN A6 in good time before the celebration of a big upcoming corporate event. 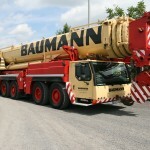 In June Baumann will celebrate its 125th anniversary. 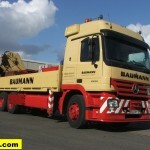 The well known company was founded as a transport business in 1888 by Heinrich Baumann. 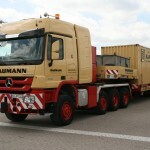 Since then the transport company has grown to one of the major heavy haulage companies in Germany and Europe. 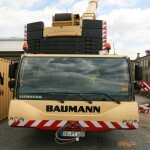 Not quite so long we have the pleasure to supply the equipment guides for Baumann. 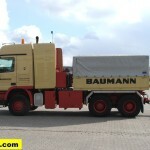 😉 Nonetheless Baumann is one of our long time customers. 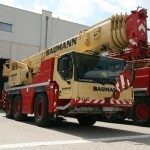 In June 2012 I was invited for a talk about the next update and reprint of their crane equipment guide. 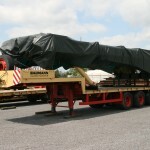 The guideline given was to prepare a small pocketbook first which should include the mobile crane charts and the main information for the heavy haulage fleet and some fork lifts. 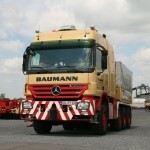 Later on a second and bigger sized version shall contain complete and detailed information about all transport vehicles. 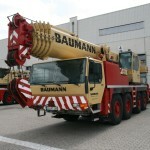 The first crane guide issue we have ever prepared for Baumann was delivered around 15 years ago. 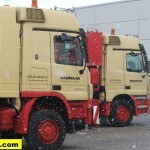 Since then our graphical skills and our technical capabilities have steadily grown. 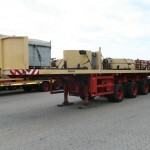 Thats’s why according to the design and layout our latest crane specification guides are not at all comparable to the ones we have prepared 15 years ago. 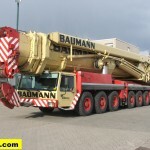 So we have found a basic agreement with Baumann that the new crane guide should have a completely new, more modern and individual design. 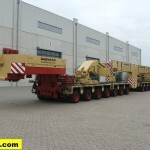 With the preparation of the new crane specification book all old contents were transferred into the new modern design and latest acquirements of machines were added. 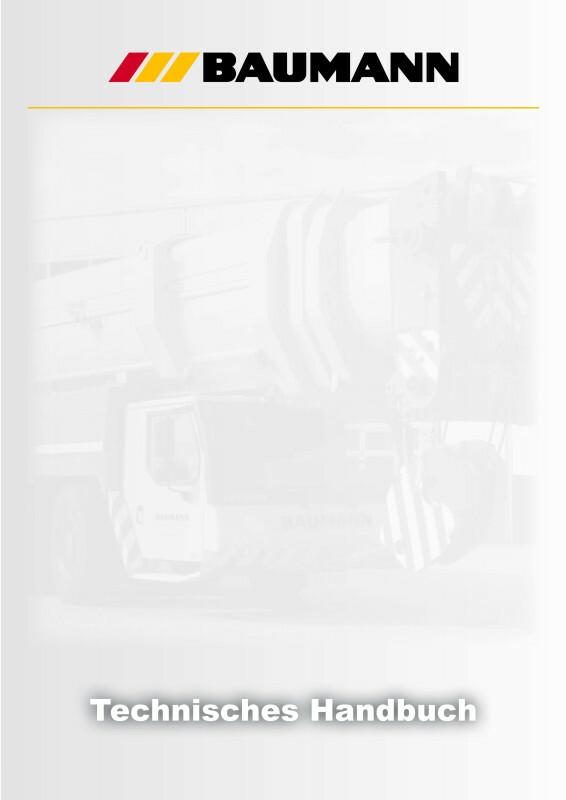 The new pocket crane guide is a nice handout for all customers and will support the sales and marketing efforts successfully. 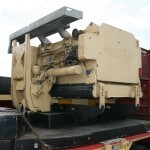 Meeting with a customer is always nice. 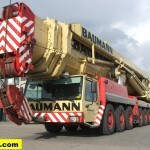 I really enjoy to meet with people who share my passion about cranes and heavy haulage. 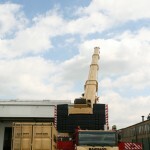 Most times this also offers the opportunity to take some pictures in the company yard. 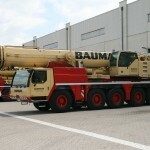 This is my chance to see cranes and heavy haulage vehicles in their “natural environment” and not only on the computer screen in my office. 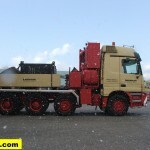 Pictures also give me some visual aids whenever we have to draft a vehicle or we need to check some technical details. 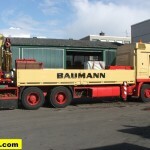 During my last visits in Bornheim I took the opportunity and made a series of pictures that I want to share with you today. 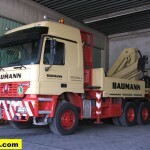 The galleries below show some impressions of the well-kept cranes, prime movers, trucks and trailers from the fleet of Baumann crane hire and heavy haulage (In fact the company is known for really clean and well maintained machines). 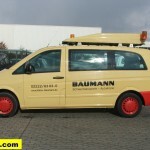 I hope you like the impressions. 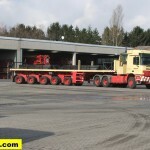 A click on the thumbnail will open a separate page with the picture in highres. 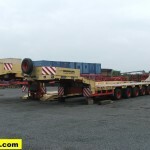 In case of any questions or remarks please feel free to leave a comment below. 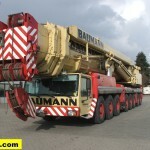 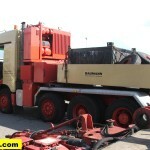 These pictures show you some of the current mobile crane of the Baumann fleet. 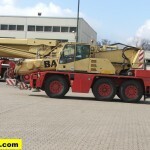 The company mostly runs Liebherr cranes. 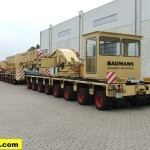 The biggest one is the 500 tons LTM 1500-8.1. 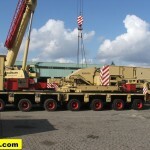 Two Terex cranes are also for hire. 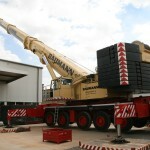 Off course all cranes are shown with load charts and specifications in the new crane guide. 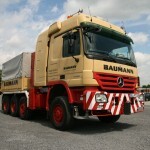 As one of the major heavy haulage companies in Germany and Europe Baumann runs a huge fleet of prime movers and trucks from Mercedes. 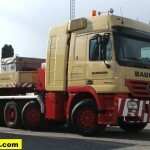 The gallery below will give you a little selection of the divers Actros prime movers which are well known for their beige and red painting. 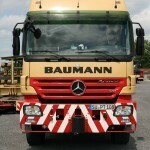 Even bigger than the choice of prime movers from Baumann is the selection of available trailers, modular transporters and self propelled modular transporters. 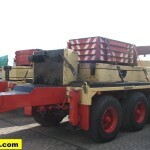 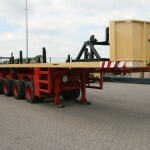 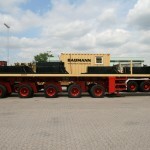 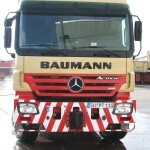 All major brands of transport vehicle manufacturers are represented in the Baumann trailer fleet. 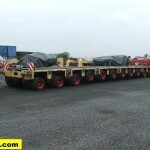 This fleet allows transport arrangements with actually unlimited possibilities. 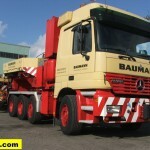 For self use as assistance trucks as well as for work on customers orders Baumann runs some truck mounted loader cranes. 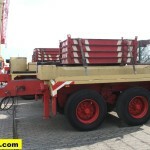 Below you find some examples of it. 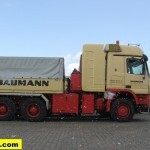 Carsten Thevessen is founder and owner of TDKv.com. 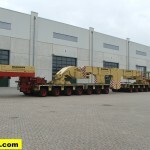 TDKv is specialised in the production of customized crane load charts and equipment guides for crane hire, access hire and heavy haulage.